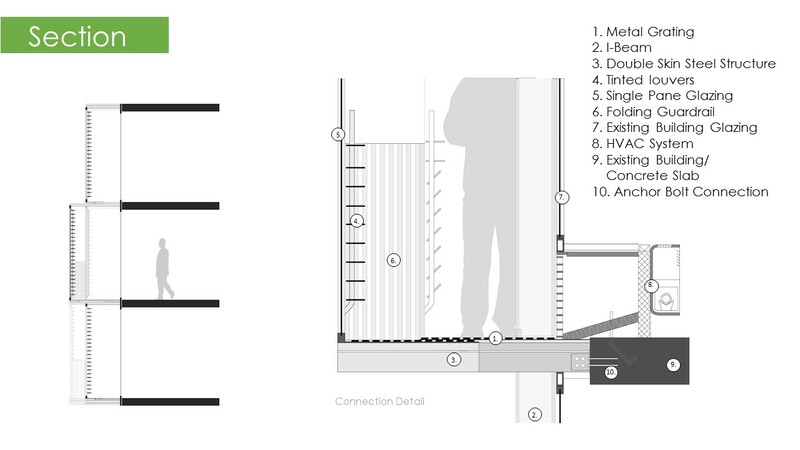 These design research case studies integrate building assemblies with distributed sensing and actuation systems in the context of smart buildings. They use prototyping as a vehicle to creatively engage architectural design and traditional design process. This is achieved through an emphasis on increased design resolution, where designers are responsible for the definition of an actual performance and for the behavior of the designed systems. 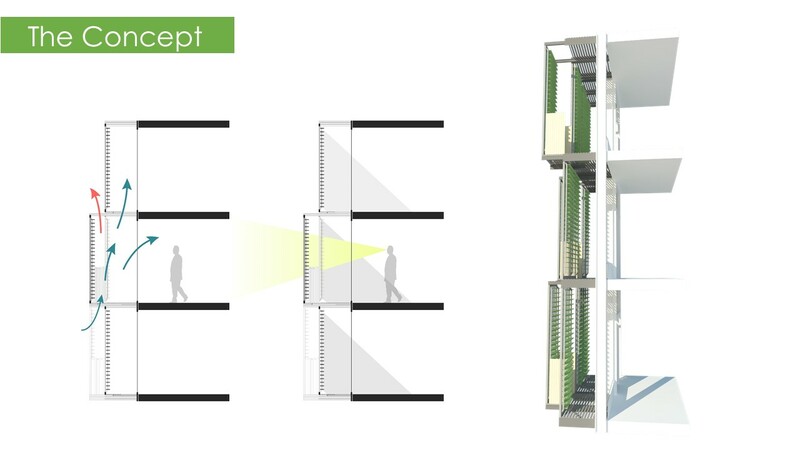 This approach extends the field of architectural design beyond form- and pattern-making, or designs based on hypothetical users, and focuses on data-driven building behavior. 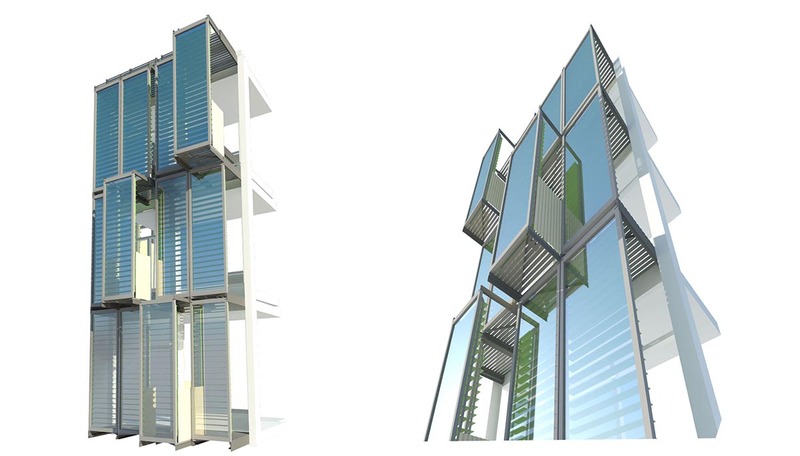 Design responds to outside and changing needs, with the ability to supersede initial designer thinking. Prototyping and learning from implementation failures provide design feedback both performative and aesthetic. The iteration is what allows for design variation, and the iteration is what makes it perfect. The final design emerges through the process of human, material, and computational interactions that can only be addressed and solved through a close, hands-on understanding of a problem. This also underlines an important value of prototyping as compared to traditional methods of drawing and modeling. Sketches and models may refine the design intent—the look and the feel—but do not significantly advance the level of design resolution (actuation) as compared to prototypes. The conceptualization without an engagement of materiality and performance feedback isolates design from effective actualization. An increased reliance on drawings to define building design also runs the risk of reducing technological innovations in materiality and physical construction, as suggested by David Pye (1968) in his book The Nature and Art of Workmanship. 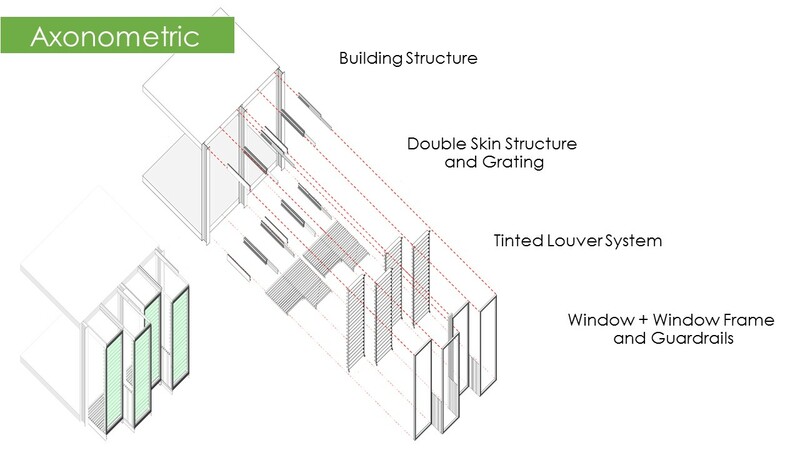 Kinetic facade: Actuation states and components. 3D assembly models were also used as dimensional sources for calculations of kinetic movements and component geometric information. Conceptualization, fabrication (3D printing), and assembly of kinetic components. 3D printing was used as a unifying element that combines various pre-made components. Right image shows sketches of the ball bearing mounting and the leadscrew connection. The prototyping process involved constructing multiple working mock-ups and testing their kinetic and electronic assemblies. Each subsequent reiteration focused on refining a particular aspect of the assembly performance and improving façade responses by fine-tuning sensor and actuator integration. Through this process, students developed an understanding about designing for tolerances, material fatigue, and the precision required to make kinetic connections, which need to be considered and continuously addressed when prototypes undergo prolonged-time testing. 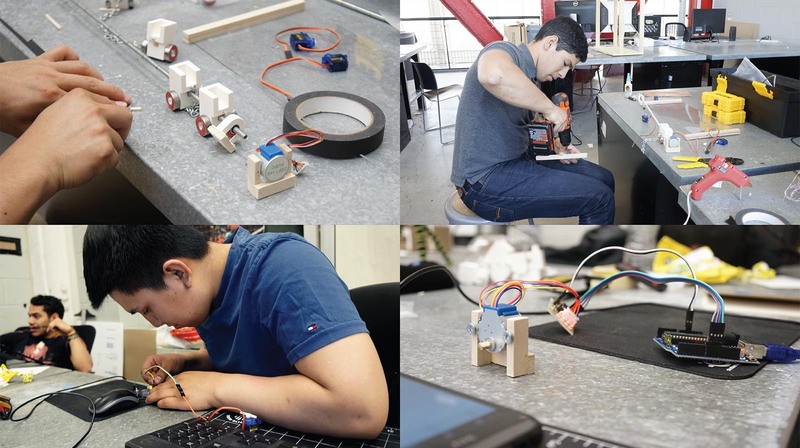 Students quickly learned that prototypes that are exposed to extended real-life operations (actuations) fail relatively quickly if they are not designed and fabricated with material performance in mind. 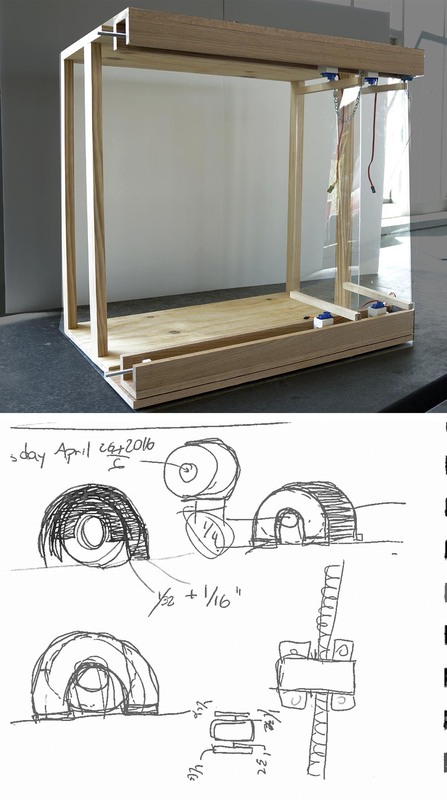 While the drawings in figure above may look like typical conceptual design sketches, they show students’ concern about dimensions and distances between various components. Since these components were to be fabricated (3D printed) and integrated into a kinetic assembly, tolerances became an important part of design discussion. Another important consideration involved understanding fabrication process, since various spatial configurations within the 3D printer module impacted assembly precisions, the need for post-processing, and the overall aesthetics.